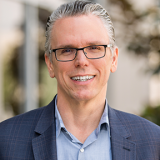 James Litton, Chief Executive Officer, Identity Automation With more than 27 years of experience in enterprise technology software and systems, James has led teams as an executive living and working in North America, Africa, Europe, and throughout the Asia-Pacific region. Immediately prior to joining Identity Automation, he was the Head of IT for Cray, a global supercomputing company. James joined Identity Automation as its Chief Executive Officer in 2007 and led the company to success as a consulting services firm and has since guided the company through its rapid and successful transformation into the highly profitable, high-growth software products company it is today.